You will be amazed how affordable it is to achieve and maintain sparkling clean windows. Call us today for an obligation free quote to clean your shop front, office, or home windows. We also offer a limited range of affordable office cleaning services. Little Green Truck is a local pick-up and delivery service. We pick up anything that won’t fit in your car and deliver service, care and peace of mind, on time, guaranteed. We are here to help with all the things that can’t fit in your car. Our trusted pick-up and delivery service is at helm to assist you with any bulky items that you need transporting. 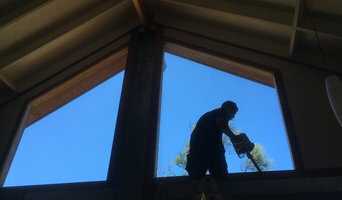 We service, but are not limited to the following areas; • Lorn • Louth Park • Maitland • Mount Dee • Oakhampton • Rutherford • Telarah • Gillieston Heights • Pinacree Don’t hire a truck, when we can do it for you. Maid2Match Newcastle is a family owned business which was founded by two brothers who when trying to book a house cleaner for their parents experienced the exasperating process first-hand. As they dug deeper into the cleaning industry they quickly realised this was the same experience thousands of Australians were having to put up with. Instead of just sitting back and complaining, they executed on their belief that booking a friendly and experienced house cleaner should be a positive and exciting experience! It was on this day that Maid2Match House Cleaning Toowoomba was created as the solution which would deliver a smarter level of hassle free service to Australians. Weâ€™re far from your average cleaning service as we know the key to delivering a 5 star experience is in the quality of the clean and in how much WOW we can generate in every interaction we have with you. From our first day our guiding light has been to deliver an unbelievable experience to every home we look after. So far so good, as demonstrated by the fact our super friendly and helpful customer service team is regularly called the best customers have experienced! A challenge that every maid business faces is two-fold: work out what is needed to deliver an unbelievable experience, than work out how to consistently deliver this in thousands of Australian homes. One of the critical elements to this is our 73 point cleaning system, which guarantees each and every home gets the 5-star treatment. Along with this we know we must retain the best cleaners available, so we believe in paying fairly and ensuring we are making their lives easier so they can do what they do best - make your home sparkle! In order to ensure you are getting the service you want, you are able to rate your clean after every service using our cleaner performance system. This ensures you can provide direct feedback easily and quickly and donâ€™t have to have any awkward conversations with your cleaner. Our customers are able to get an instant quote online, and then book in less than 60 seconds using our instant quote and online booking form. Better still, all our recurring services get to make use of our significant recurring discounts, with our most popular service being a fortnightly clean which gets you 10% off every recurring service! After launching in their hometown, Maid2Match expanded their service to Newcastle in 2018. 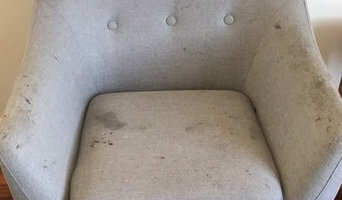 Mould Cleaning Australia specialise in mould removal and mould remediation across Sydney, New South Wales and Melbourne, Victoria. Our mould removal process focuses on identifying the cause of the problem and providing recommendations to find a permanent solution for our valued customers. The team at Mould Cleaning Australia offer a professional service and years of experience to ensure you get the best possible results. Mould Cleaning Australia offers a free no obligation inspection report that provides you with a detailed analysis and cause of the issue and a detailed quote for mould removal. 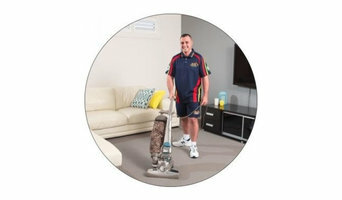 Residential cleaners in Newcastle, New South Wales can provide routine cleaning, deep cleaning and end of lease cleaning. A routine service typically includes general tidying up, wiping down surfaces, dusting, sweeping, mopping, vacuuming, window cleaning and toilet cleaning. Microwave and oven cleaning, laundry and the cleaning of outdoor areas are usually additional extras. You may not have the time in between packing up and moving house, but a housekeeping professional can also provide end of lease cleaning, which typically includes everything from carpet cleaning to oven cleaning. 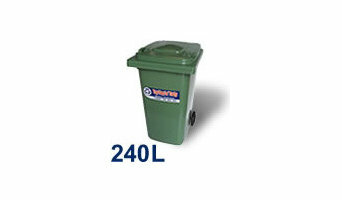 Find companies in Newcastle, New South Wales that provide skip bin hire, cleaning or rubbish removal services on Houzz. Scroll through this page to find a domestic cleaner, rubbish removalist or furniture removalist in your area. Just enter your suburb at the top of this page to narrow your search. Get contact information or message professionals directly so you can ask about rates, and read customer reviews.